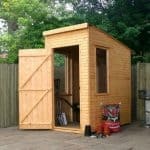 This is an 8 x 8 overlap garden shed that has a ton of personality and style. It is very traditional looking, but this gives it a warm feel and the building itself is very strong and durable. For example, it has overlap cladding on it which gives it a great look and also promises you that the building will be effective and safe against rain. It is large and spacious inside and wide double doors give immediate access to the full and generous interior. 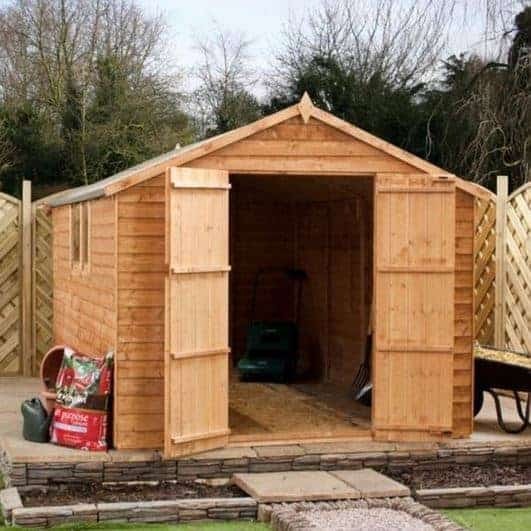 We like the strong, attractive build of this traditional style shed. Not only does it have exceptional character, but it also comes with a few great safety features. 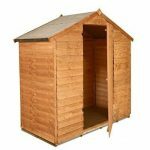 Designed to stay strong throughout all weathers, the shed boasts an impressive size that should fit comfortably in medium to large gardens. 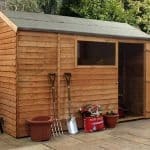 Ideal for use as a simple storage solution or even as a separate office space, this is one of the best quality sheds we’ve seen. Constructed with FSC sourced timber – The timber used to create the shed is sourced from the Forest Stewardship Council. This means it is taken from wooded areas that are harvested and replanted. 8mm overlap boards – The panels are constructed with 8mm overlap boards which are braced with 28mm x28mm framing. 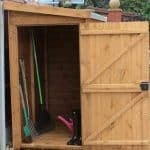 This results in maximum stability and strength, ensuring your shed can store large, heavy items. Window placement choice – Choose where you want the windows positioned as you build the shed. This gives you flexibility in terms of shed location. Styrene glazed windows – Instead of real glass, the windows are styrene glazed which is known to be 100% shatterproof. Large double doors – Ensuring you have ample room to move large items in and out of the shed, the double doors open out fully. 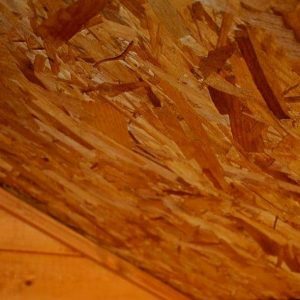 10 year anti-rot guarantee – The manufacturer is so confident about the quality of the shed that they include a 10 year anti-rot guarantee. Traditional apex roof – Helping to ensure rainwater runs down onto the ground, the traditional apex roof is an excellent addition. It also helps to increase the amount of interior space, providing more storage options. Turn button lock system – Keep your shed fully secure with the excellent built in turn button lock system. Solid sheet roof and floor – The roof and floor feature solid sheet materials to ensure excellent durability. Heavy duty sand felt – The sand roof felt comes included with the shed and provides fantastic protection against the weather. 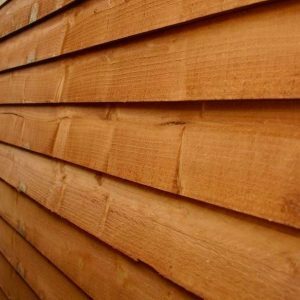 The thick, overlap cladding helps to ensure a safe, high quality finish. It isn’t just safe to use, it’s also safe from potential thieves. Both doors are locked via a built in turn button lock system. The only thing we suggest you be aware of is that it does have windows located on either side of the shed. Therefore if you are storing anything of value it would be a good idea to keep them covered. 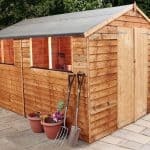 We have given the 8×8 Overlap Apex Wooden Garden shed a 7.5 out of 10 assembly rating. It comes flat packed with all required tools included and the instructions are very simple and easy to follow. The only real issue is the fact that it is pretty labour intensive. It is a two person job and it can take quite a few hours to construct. 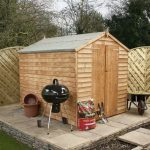 This shed is perfectly built to protect your stored items against the unpredictable British weather. With thick, solid overlap cladding and heavy duty felt included, it has been designed to ensure harsh weather doesn’t damage the structure. All of your items will remain safe and dry. The windows on each side of the shed also help to bring in a lot of natural light, eliminating the need to purchase an electrical pack. However, while the windows do provide some benefits, they also give potential thieves a full view into the shed. So any valuables should always be stored discreetly. It also isn’t painted. While not a major concern, you may wish to invest in a coloured treatment to brighten it up a little.